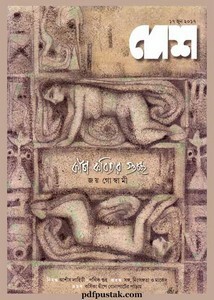 It is an old ones fortnightly literary based magazine in Bengali magazine. It published twice in a month, date of 5th 17th. Today's shareable issues June 17, 2017 edition. Main topics of this edition's are- a branch of raw poems of Shanka Ghosh, an article by Ashish Lahiri-Prathik Guha, an essay, fictions and many more topics. The HQ pdf has 93 pages, 29mb file size.